Cholesterol is a fatty substance found in the blood. The body uses it to make hormones, like testosterone and estrogen. It is even essential for metabolism and for normal functioning of the membranes that surround cells. However, all types of cholesterol are not good for your heath. LDL or low-density lipoprotein is considered the ‘bad’ cholesterol, while HDL or high-density lipoprotein is the ‘good’ cholesterol. A small amount of LDL is not bad for you, but an excess can cause a buildup of plaque (thick, hard deposits) in the inner walls of your arteries. This increases your risk of heart disease, attacks or strokes. According to the Centers for Disease Control and Prevention (CDC), more than one-third of adults in America have raised levels of LDL cholesterol. As per the CDC, the following blood cholesterol levels are considered healthy. As high cholesterol has no symptoms, many people are not even aware that they have it. This is why it is recommended that adults get their cholesterol levels checked every few years. People who are at a higher risk of unhealthy cholesterol levels should get checked more frequently. Here are the top 10 risk factors for high cholesterol. Your risk of high cholesterol increases as you get older. Men age 45 or older and women age 55 or older are at increased risk of high cholesterol and heart disease. The American Heart Association recommends all adults, beginning at age 20, have their cholesterol levels checked every 4 to 6 years. Anyone can have high cholesterol; however women after menopause are at a higher risk. It is due to their increasing age as well as the hormonal changes associated with menopause. Menopause even increases the risk for heart disease among women. A 2009 study published in the Journal of the American College of Cardiology states that LDL cholesterol increases rapidly after menopause. 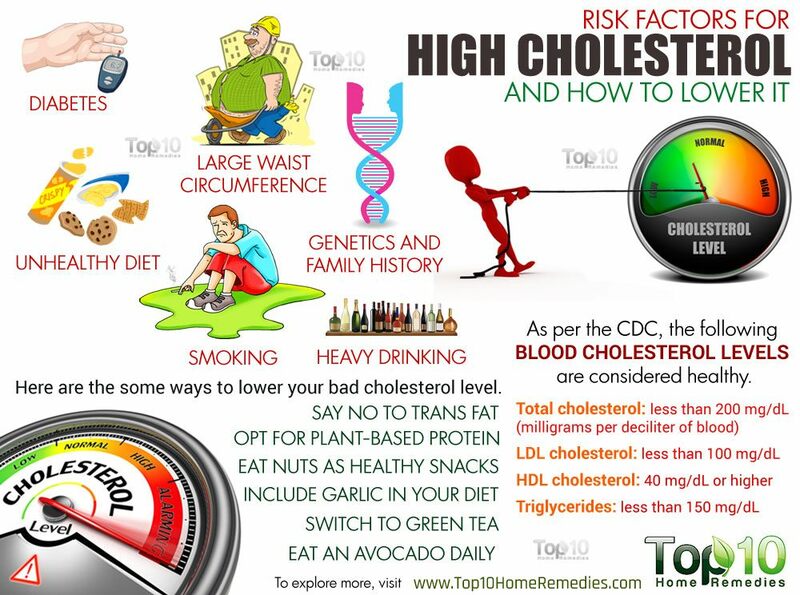 Ggenetics and hereditary factors can also increase your risk of having high cholesterol levels. If you have a close family member who has cholesterol problems or heart disease, be alert and get your cholesterol levels checked more often to be on the safe side. A poor diet can also raise total and LDL cholesterol levels. Eating an excess amount of saturated fat, found in animal products, and trans fats, found in some commercially baked cookies, biscuits, pastries and crackers, can raise your cholesterol levels. 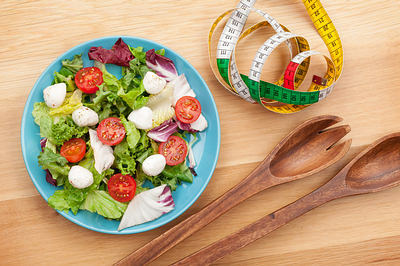 A healthy diet that includes fresh vegetables, fruits, whole grains, fish, lean meat and low-fat or fat-free dairy products is something that everyone should adopt. Being obese can increase your LDL cholesterol level and lower your HDL level. In fact, a body mass index (BMI) of 30 or above puts you at risk of high cholesterol. In addition, obesity can lead to heart disease, high blood pressure, diabetes, arthritis, chronic kidney disease, nonalcoholic fatty liver disease and many other conditions. Try to maintain a healthy weight to reduce your risk of high cholesterol as well as heart disease. Men with a waist circumference of at least 40 inches and women with a waist circumference of at least 35 inches are at a higher risk of developing unhealthy LDL levels. A 2001 study published in the American Journal of Clinical Nutrition found that a large waist circumference was associated significantly with low HDL-cholesterol concentrations and high fasting triacylglycerol, insulin and glucose concentrations. The harmful toxins and chemicals in cigarette smoke damage the walls of your blood vessels. This leads to accumulation of fatty deposits in the arteries. In fact, excess smoking also lowers your level of HDL good cholesterol. A 2013 study published in the Journal of Cellular Biochemistry highlights the effect of cigarette smoke and lower HDL cholesterol levels. This increases the risk of cardiovascular disease in smokers. People suffering from diabetes often have higher LDL and lower HDL cholesterol because high blood sugar damages the lining of the arteries. People with diabetes should have their cholesterol tested yearly. Regular exercise plays a key role in maintaining your heart health. It also helps maintain a healthy weight and reduce LDL cholesterol and triglyceride levels. On the other hand, living a sedentary lifestyle and not getting enough exercise puts you at a higher risk of having a high LDL level. Exercise for about 30 minutes most days of the week and increase your daily physical activity, such as short walks and other activities that keep your body moving. One to two drinks per day can help keep your cholesterol level in check. However, excess alcohol will have an opposite impact. It may raise triglycerides due to the high sugar and calorie content of alcoholic drinks. Furthermore, it can cause high blood pressure, heart failure and strokes. A 2001 study published in Alcoholism, Clinical and Experimental Research points out the connection between excess alcohol intake and increased risk of LDL cholesterol in middle-aged Japanese men. If you drink, keep the amount in moderation. If you have any of these risk factors or already have high cholesterol, you need to take steps to lower your LDL and raise your HDL cholesterol. You just have to make some simple lifestyle changes. However, if your cholesterol level is too high, you may need to take medication prescribed by your doctor to get your cholesterol back on track. Here are the top 10 ways to lower your bad cholesterol level. When it comes to trans fats, simply avoid them as they can raise your LDL cholesterol while lowering your HDL level. A 2010 study published in PLoS One highlights the negative effect of animal and industrial trans fatty acids on HDL and LDL levels. Furthermore, these unhealthy fats increase your risk of developing heart disease and strokes. Avoid margarine, commercial baked goods, crackers, chips and other processed snacks as they often contain these unhealthy fats. Also, you must avoid or limit your intake of saturated fats and dietary cholesterol, found in egg yolks, red meat, shrimp, lobster, high-fat cheeses, full-fat dairy products, butter and organ meats. Eat more polyunsaturated and monounsaturated fats, which you can find in olive, canola, and safflower oils; salmon, tuna, trout and mackerel; seeds and nuts; avocados; and soybeans. If you are at a high risk of having high cholesterol and cardiovascular disease, opt for protein-rich plant foods instead of animal protein. Plant-based protein sources are rich in nutrients and phytochemicals that help lower total cholesterol, LDL cholesterol, blood sugar and insulin levels. It even reduces the risk of several cancers. A 2005 study published in the Annals of Internal Medicine journal emphasizes avoiding saturated fat and cholesterol and including nutrient-dense plant-based foods. Some good sources of plant-based protein are legumes, lentils, peas, pinto beans, red beans, white beans, soybeans, nuts and seeds. Be it a mid-morning or mid-afternoon snack, nuts like walnuts, almonds, peanuts, hazelnuts, pistachios and pecans are the best option if you wish to keep your cholesterol level within normal range. Nuts are rich in plant sterols, fiber and omega-3 fatty acids that help lower cholesterol and triglyceride levels. A 2011 study published in The Nutrition Reviews suggests that almonds have a consistent LDL-cholesterol lowering effect in healthy individuals as well as those with high cholesterol and diabetes. Another 2015 study published in the Journal of American Heart Association notes that daily consumption of almonds may even prevent the onset of cardio-metabolic disease. 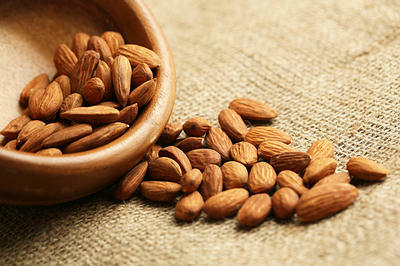 However, to enjoy these benefits of almonds and other nuts, choose raw or dry-roasted, unsalted varieties. Chewing 2 or 3 raw garlic cloves daily on an empty stomach or adding them to salad dressings, soups and sandwiches can help keep your cholesterol levels normal. In addition, garlic helps prevent blood clots, improves blood circulation, reduces blood pressure and protects against heart disease. A 2006 study published in the Journal of Nutrition notes that regular garlic intake can lower triglyceride, blood glucose and cholesterol levels. 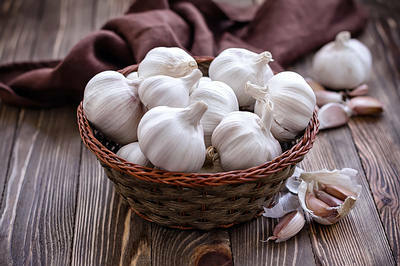 Garlic extract can also help reduce high blood pressure and high cholesterol. Try to eat raw garlic daily. If you opt to take a supplement, always consult your doctor first. 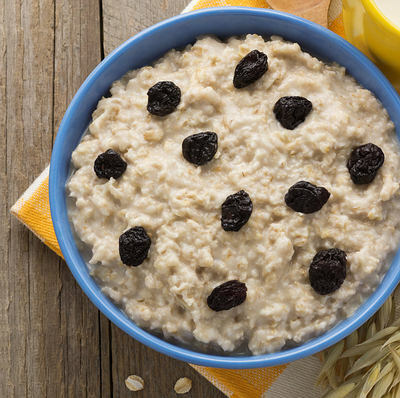 Eating a bowl of oatmeal is one of the easiest ways to keep your cholesterol levels in check. Its soluble fiber reduces the absorption of cholesterol into your bloodstream and, in turn, lowers LDL. It also keeps you feeling full longer and prevents mindless eating. A 2011 study published in the Nutrition Reviews highlights the cholesterol-lowering effects of oat β-glucan, a soluble dietary fiber found in the endosperm cell walls of oats. On average, oat consumption is associated with 5 and 7 percent reductions in total and LDL cholesterol levels, respectively. Enjoy at least 1 cup of cooked oatmeal daily for breakfast. Top it with nuts, seeds or berries for added health benefits. Instead of coffee, start drinking green tea to effectively lower your LDL level. A 2011 study published in the American Journal of Clinical Nutrition notes that regular intake of green tea beverages or extracts can result in significant reductions in serum total cholesterol and and LDL-cholesterol concentrations. However, it has no effect on HDL cholesterol. Green tea contains catechins, which are antioxidants that help lower LDL levels and inhibit abnormal formation of blood clots. 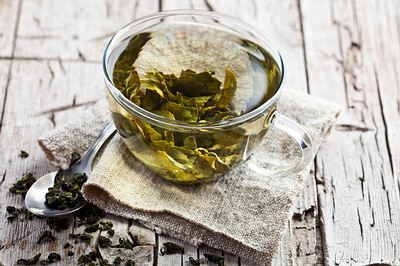 As a bonus, green tea can prevent plaque buildup and reduce the risk of having a heart attack or stroke. You can drink up to 4 cups of green tea (hot or iced) a day. Avocados are a rich source of oleic acid, a healthy monounsaturated fat that helps increase HDL and lower LDL. They are also rich in fiber and beta-sitosterol that can effectively control cholesterol levels. As a bonus, the monounsaturated fat content lowers the risk of heart disease and stroke. 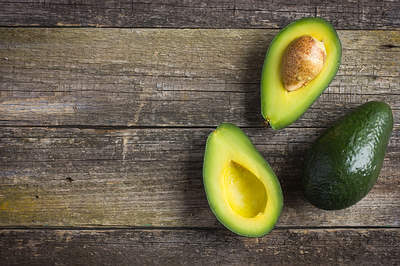 A 2015 study published in The Journal of American Heart Association suggests that eating 1 avocado per day as part of a moderate‐fat and cholesterol‐lowering diet may lower LDL and non-high density lipoprotein levels. Eat an avocado daily or add a few slices of avocado to your salad to enjoy maximum health benefits. Along with avocados, you can include strawberries, plums, blueberries and oranges in your diet to reduce your cholesterol level. 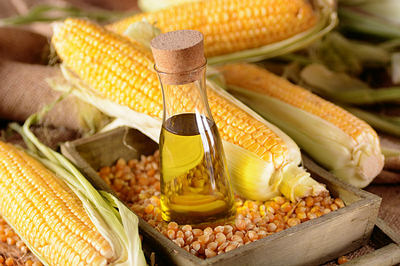 You should limit the use of regular cooking oil and replace it with corn oil to reduce your LDL level significantly. 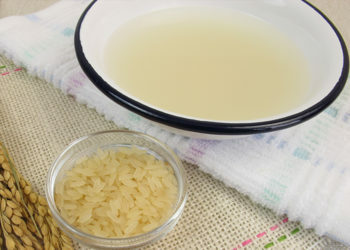 Corn oil has a unique combination of healthy fatty acids and plant sterols, which help lower cholesterol. It also reduces the risk of cardiovascular disease, heart attacks and strokes. A 2015 study published in the Journal of Clinical Lipidology says that corn oil reduces cholesterol significantly more than extra-virgin olive oil with favorable changes in both total and LDL cholesterol. Add moderate amounts of corn oil to your diet. Olive, sunflower and coconut oil are also healthy options, however not as effective as corn oil. Using spices in your cooking is another easy way to achieve healthy cholesterol levels. Spices like cinnamon, cayenne pepper, turmeric, black pepper and coriander not only add flavor but also improve cholesterol and heart health. A 2008 study published in the Journal of Environmental Biology points out the cholesterol-lowering property of coriander seeds due to its hypolipidemic action on the metabolism of lipids. 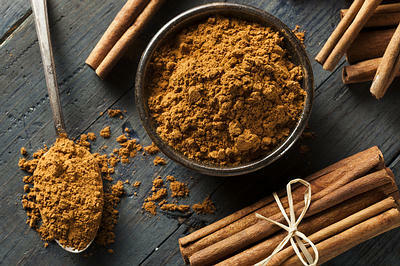 A 2003 study published in Diabetes Care shows that daily intake of 1 to 6 grams of cinnamon powder daily reduces serum glucose, triglyceride, LDL and total cholesterol in people with Type 2 diabetes. Add cinnamon powder to your oatmeal or smoothie, add black pepper or cayenne pepper to your soup or salad, or try coriander seed tea to improve your cholesterol levels. Eat more foods rich in soluble fiber to reduce your cholesterol level. Soluble fiber prevents your body from absorbing cholesterol. It also keeps you feeling full longer, thus preventing you from reaching for unhealthy snacks. This also helps with weight loss. A 1999 study published in the American Journal of Clinical Nutrition highlights cholesterol-lowering effects of dietary fiber. Fiber can reduce total as well as LDL cholesterol. Another 2000 study published in the American Society for Clinical Nutrition notes that long-term use of a standard dose of psyllium (5.1 g twice daily) resulted in 5 percent lower serum total-cholesterol concentrations and 7 percent lower LDL-cholesterol concentrations. Psyllium, also known as isabgol, is a good source of dietary fiber. Some excellent sources of soluble fiber are beans, oats, barley, peas, apples, oranges, pears, sweet potatoes, carrots, Brussels sprouts, beets, okra and eggplant. Remember, when eating fiber-rich foods, drink plenty of water to prevent gastrointestinal discomfort. So happy to know about yr work. It’s amazing that we can get the best things with a very easy way for our good health.